The Medical Library Association (MLA) has just held its annual conference in Toronto, Canada. Being based in Australia means that it’s hard for me to attend, but the Twitter stream is a very useful way of keeping up with what’s going on at the conference. I thought I would use it as a test of using the R programming language to conduct some very basic Social Network Analysis (SNA) on the Twitter stream of the conference. 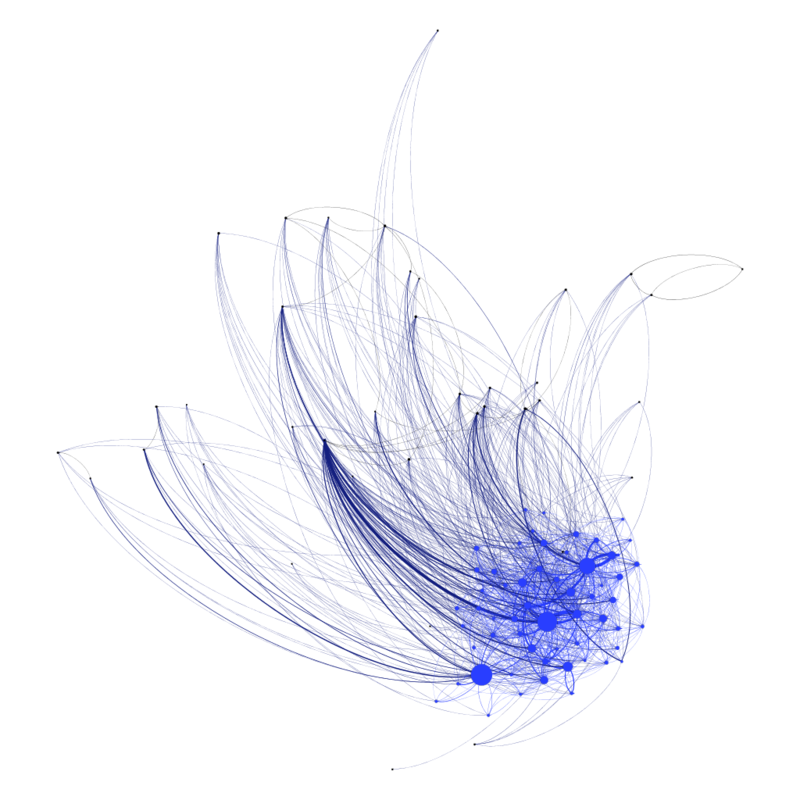 See my previous post for a background of my interest in R and SNA. Each node represents an individual Twitter account (I’ve left them unlabelled in order not to identify anyone). This is a bit messy and hard to read, so I filtered the data to make the graph easier to interpret. 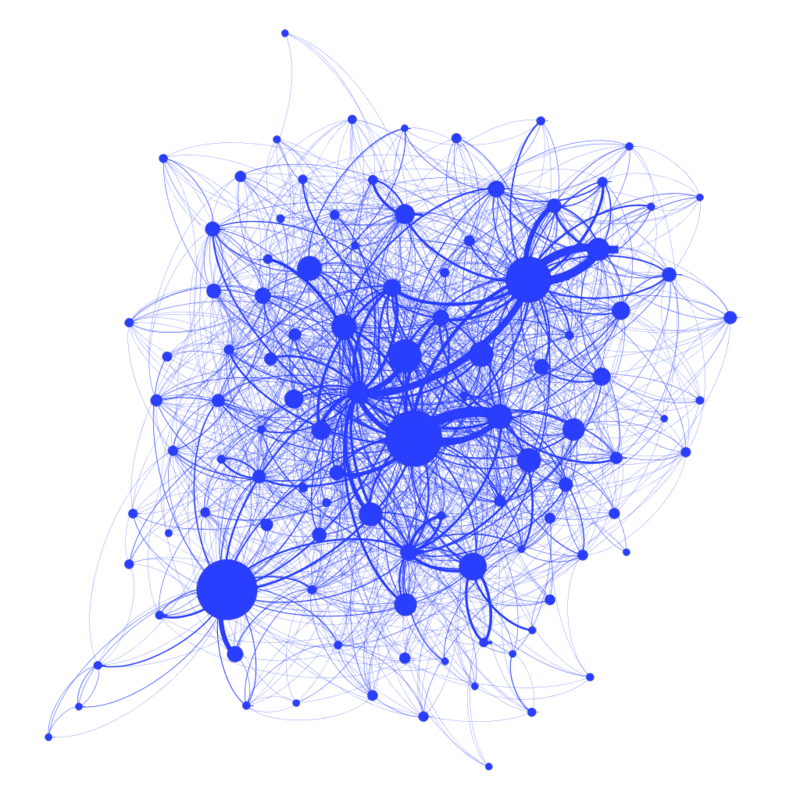 The graph below shows the top nodes based on their “out-degree”, with the larger nodes having a larger out-degree. 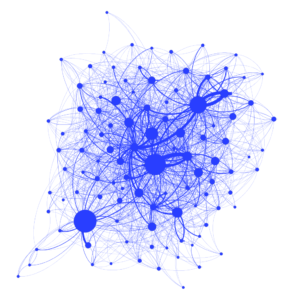 Out-degree is a measure of the influence of a node, i.e. how many outward ties they have to other nodes. There are a range of other measures that can be used to filter the data, so I’ll have a play around a bit more. 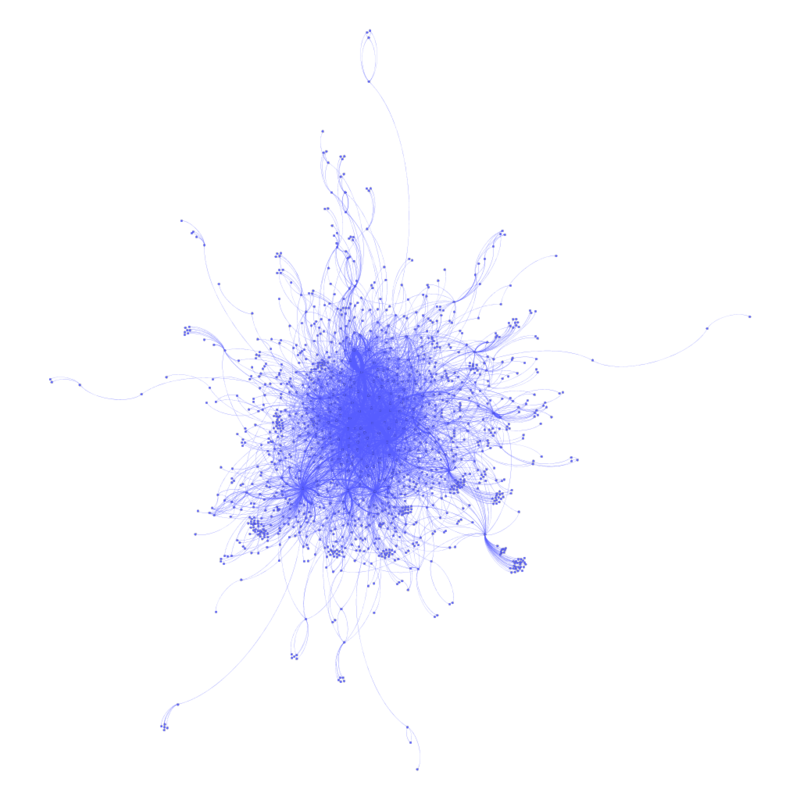 I certainly wouldn’t call myself an expert in R or social network analysis after doing this, but it has been a great introduction to what R can do.